The man, the myth, the legend-ary PGA golfer joins the Golden Tee team in 2019! 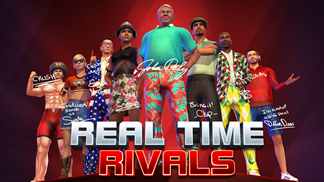 The two-time major winner, best known for his massive drives and charismatic and colorful attitude on and away from the course, will be featured in Real Time Rivals, an all-new game mode that will makes its debut in Golden Tee 2019. 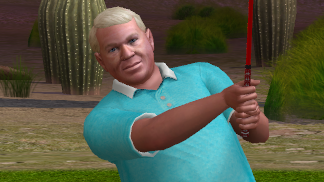 You can play as John Daly in five of his crazy and bright golfing outfits or play against him and his 8 team members in Real Time Rivals mode! Not only does Daly look amazing on the courses of Golden Tee Golf but his personal swing looks absolutely amazing as he crushes the ball across the fairway! Try and perfect your game by using the brand-new shot meter! 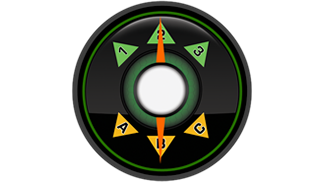 After your shot takes off in the air or down the green, use the shot meter to view your direction and power. Take advantage of this new tool to help cut down on missed putts or over-cut tee shots! Three divisions: bronze, silver and gold. Nine rivals, including the one and only John Daly! Work your way up the chain and take down as many golfers as you can! If you’re feeling very lucky, you can take on John Daly for a chance at fame and glory. But, be aware, he can go very low! Call it a playground, call it a sandbox, call it whatever you want, but we're taking chances with this new form of prize play mode in GT 2019 and we know that you're going to love it. We want to see what you want to play, and this ambitious 2019 mode will take a variety of factors that include wind, tee boxes, entry fee and more to change the way Golden Tee is played. We're turning knobs that we've never turned before to offer different types of prize play contests that YOU, the player, have never experienced before. More on Events Mode can be found here. 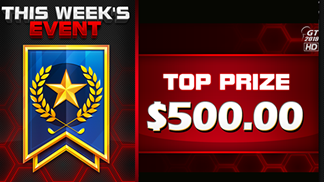 There's a new way to earn extra shot points in Golden Tee 2019! Say hello to the "Ultra Shot." 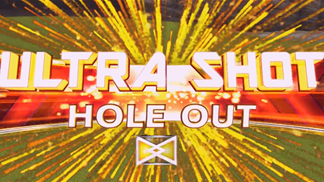 A player's shot will be considered an "ultra shot" when their shot goes directly in the cup and does not touch the green at all (while also meeting the requirements of being worthy of great shot points). That means that your dunks will also now be worth double the Great Shot Points! Three new club sets and two new balls are making their way to Golden Tee 2019, along with a brand new club: The Chipper! 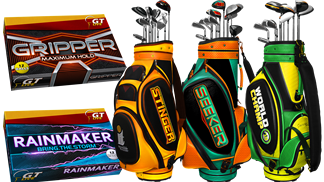 The new golf club sets include a set built by the 2018 World Champion Evan Gossett and two brand-new Jim Z creations. The new chipper club won’t allow you to crush your ball, but it will make chipping a little bit easier for novices! Choose from 18 brand new putters to customize your game even further! With the 8-bit, the broken putter, the keytar, the guitar and even a bong, your putting game will be more exciting than ever before! These putters are available for purchase on LIVEWIRE and the GT Caddy app.